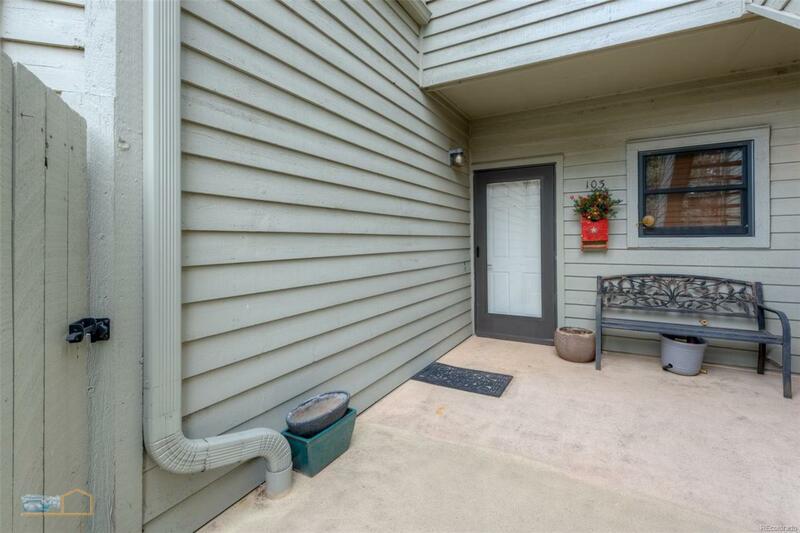 Overlooking open space/trail, this 2 BD/2 BA condo is in move in condition! Updated kitchen with granite counters, cherry cabinets, SS appliances and bamboo flooring! Stay warm with the wood burning fireplace & the updated new Pella windows & sliding glass doors! Relax on the deck outside the living room which extends to the master bedroom. Private patio off second bedroom. Central A/C and newer high efficiency furnace with humidifier. HOA includes pool & hot tub. Underground parking. Must see! Offered by Kearney Realty Company.